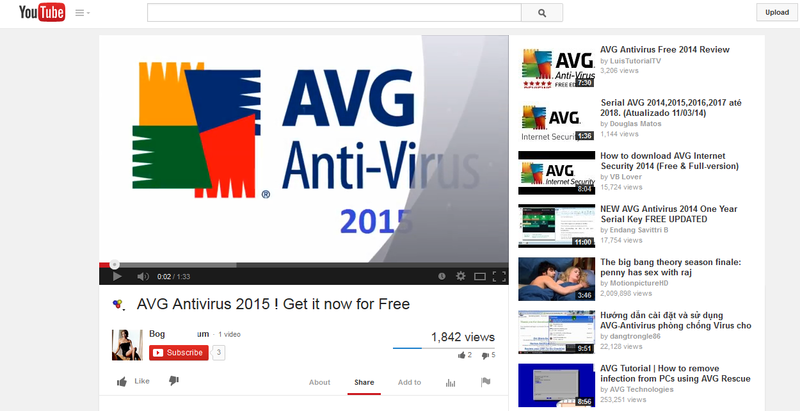 New fake AVG Antivirus 2015 on YouTube takes users to download unwanted software. The new version of AVG 2015 still not here, but on video that published on Jul 30 2013, you have the chance to download AVG Antivirus 2015. The fake AVG video had over one thousand views, and the exact number of victims is not known. The link takes users to download unwanted software, and the site promises exclusive access to AVG Antivirus 2015 file, if you complete a quick survey (Download and install 7 unwanted software). So far, no one gets to download AVG Antivirus 2015, which is still in the works by AVG Technologies. A similar video that published on YouTube 3 days ago, takes users to download malware under “AVG Antivirus 2015 Beta”.